Remarks: This beautifully furnished one bedroom one bath has now become available for January and February and is priced at $3300 per month. Owner has just remodeled the kitchen and bath and placed new furnishings in the living room. 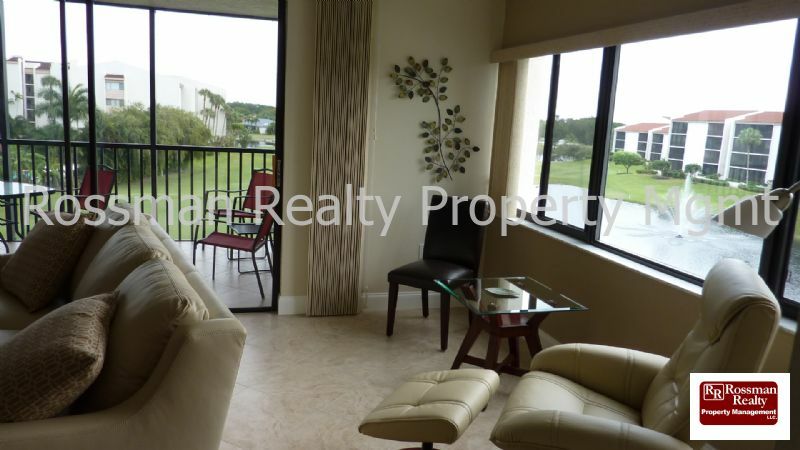 This condo has a beautiful view from the lanai for those lovely winter evenings in Florida. The Landings Yacht, Golf and Tennis Club is located on the Caloosahatchee River and is a great deal for renters! Pay a one time fee of $300 and get unlimited golf, tennis and a slip in the Marina based on availability. You will also have use of our two private restaurants and bars, fitness facility, clubhouse and all of the many activities The Landings has to offer. There is something for everyone!